The kitchen is the heart of the house wherein happens the loving preparation of nourishment that keeps us healthy and cheerful. It is fitting, therefore, that this area have prime functionality, comfort and style, making it a joyful environment for the one who cooks. 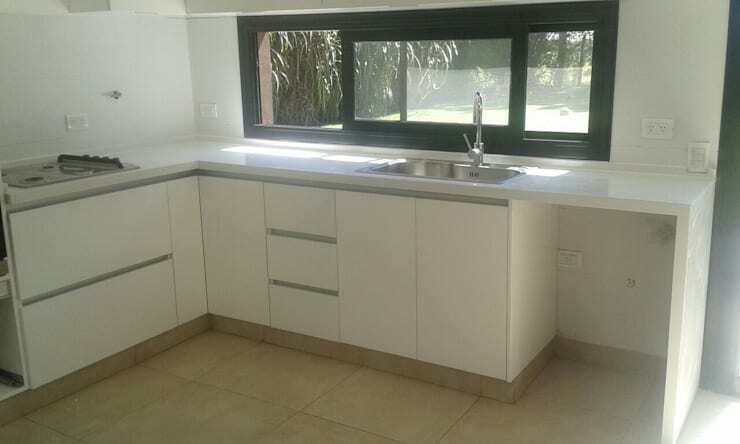 Keeping this in mind while renovating the kitchen, we must consider certain options – should the kitchen be integrated with the dining area for a more spacious look or should it be a separate unit? Should it be U-shaped, L-shaped, linear or a futuristic design? 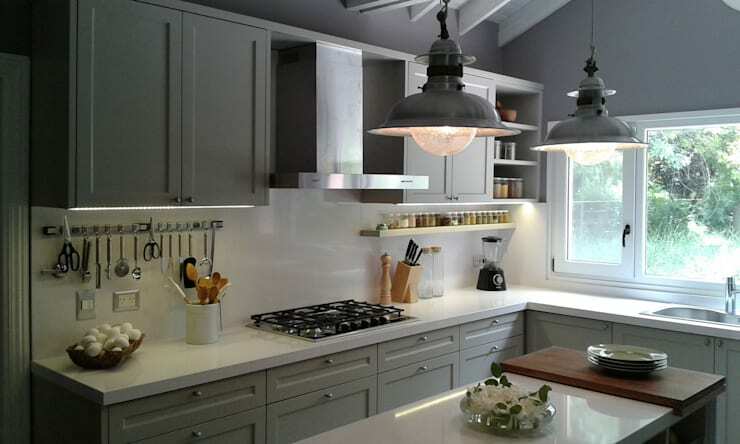 Well, today we bring to you 8 trendy and inspirational ways to remodel your kitchen the L-shaped way. Let’s have a look! ​Reforma integral de vivienda en barrio de Chueca de Madrid por Traber Obras. The sophisticated white furniture and trendy appliances look classy against the wooden floor. The arresting feature here is the recessed lights brightening the kitchen countertop. 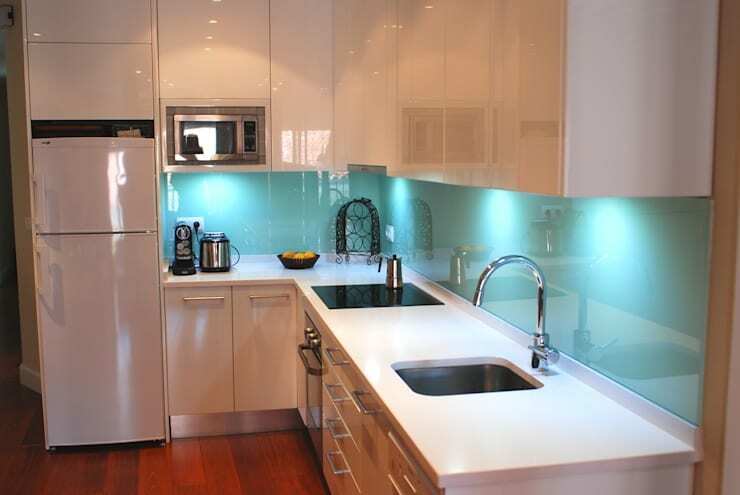 The glass backsplash is an ingenious idea! It reflects the light thus enhancing its brightness. This is especially useful in kitchens that do not have a sufficiency of natural light. 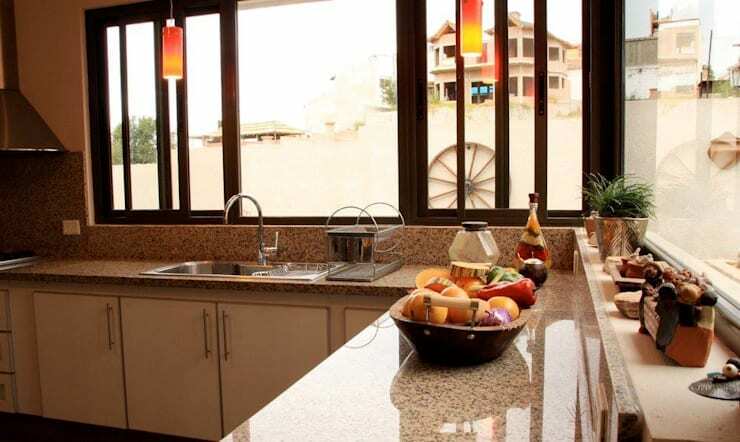 A granite countertop is as attractive as it is durable and easy to clean. This lovely kitchen with white and brown hues has a warm and welcoming ambience. One benefit of an L-shaped kitchen is the additional countertop space – always a useful thing! An L-shaped countertop is a practical idea not only for small kitchens but also for spacious ones. The additional countertop space helps keep the kitchen neat, clean and looking stylish. The brick red walls here are a gorgeous splash of colour that melds perfectly with the rustic décor. The kitchen island is a wonderful feature that can serve the dual purpose of additional countertop and informal dining area – but in a spacious kitchen! In a small kitchen, the kitchen island only gives a cramped look to the area and hinders free movement. Natural light and fresh air are important in any living space but particularly so in a small kitchen which can become full of smoke and moisture. Large windows help keep the kitchen fresh and give a sense of spaciousness as well. The kitchen is your personal space and should reflect your personality. 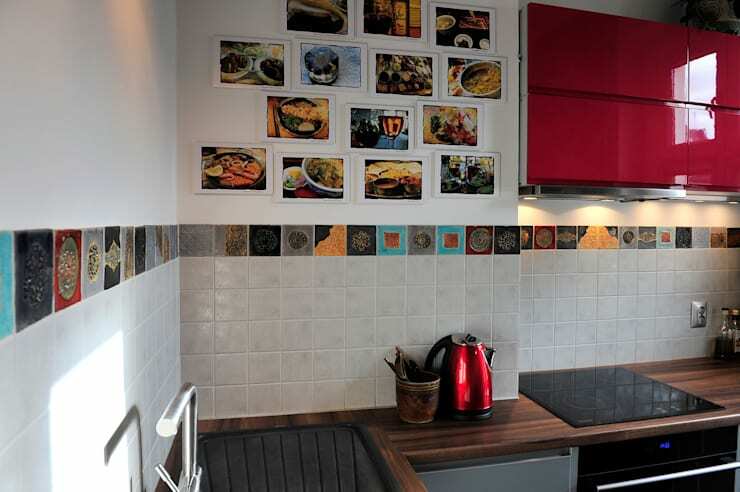 Use your favourite colour as an accent piece and select tiles and prints that you love to decorate the walls. Make the kitchen a joy to be in! 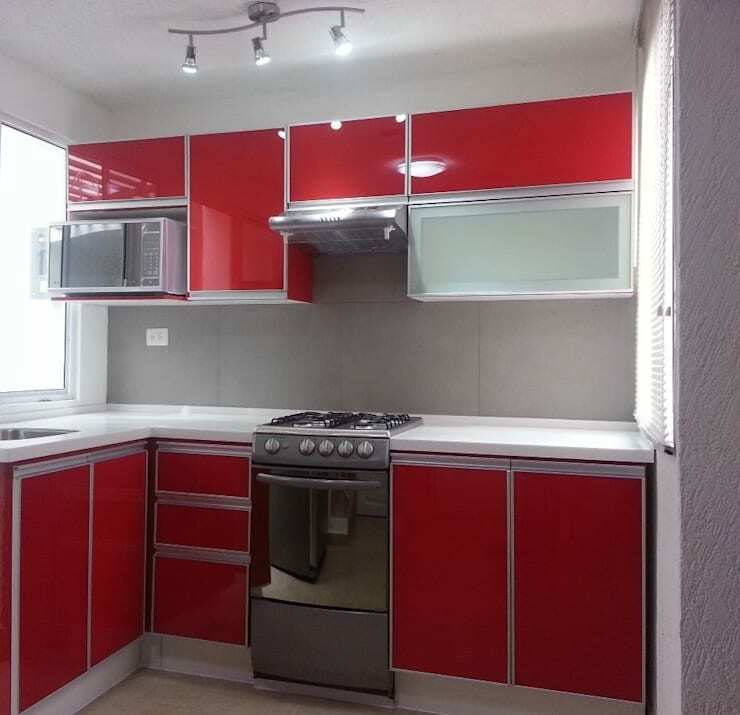 A small L-shaped kitchen stands out with dash of colour! 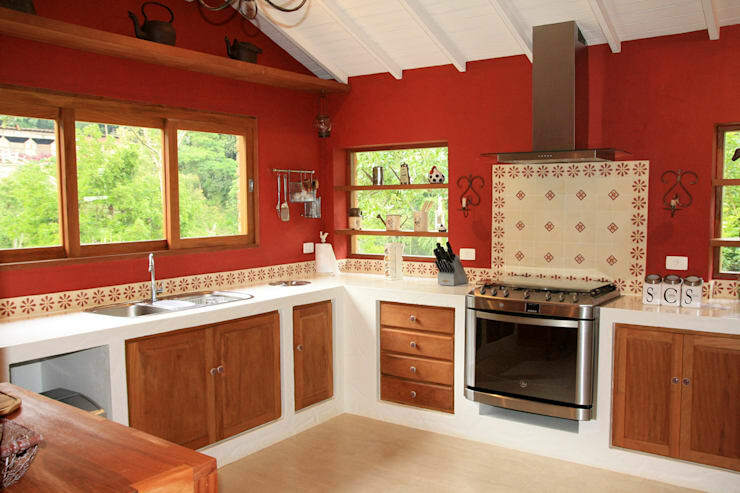 This vibrant kitchen is full of life and exuberance – the perfect ambience for whipping up some creative delicacies! This all-white fantasy has both natural and artificial light. The L-shaped design is conducive to having maximum possible furniture, cabinets and comfortably spaced appliances. These 8 ideas for L-shaped kitchens offer great inspiration for smart kitchen renovation! Here’s another story that might interest you - Using plants in your home!